Practice identifying state and country capitals with these two games from Arcademic Skill Builders. This site offers many games that can be played individually or multi-player for math and language arts, but these geography games are great, too. Choose Country Toad to practice identifying the capital cities of different countries. A city name is displayed at the bottom of the screen, just click the matching country to have your frog jump to it. 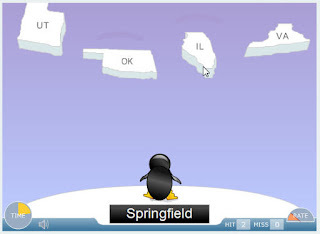 Choose Penguin States to practice identifying the US state capitals. Click on a the matching state to have the penguin to jump to it. Be careful, if you click the wrong answer the frog or the penguin will fall into the water. 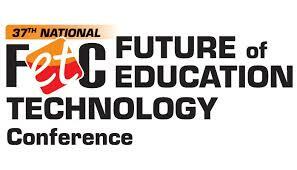 My students love the graphics and fast moving fun. Try these activities on your Smartboard, too.